I'm glad that they can afford to do it. Is there a history of people complaining about the garages, control tower etc.. at the track or is this just so Montreal looks shiny on TV? The Canadian Grand Prix is a classic, I agree. But I think that an IndyCar / sports car Grand Prix du Montreal would be way smarter. Well, there's a history of Bernie complaining, but what else is new? However, Montreal promoter Francois Dumontier and others admit (see below) that the Circuit Gilles Villeneuve needs some improvements. 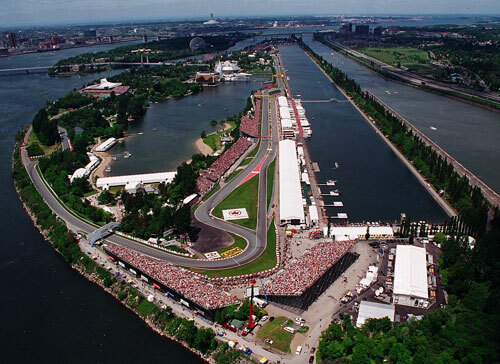 As can be seen in this photo, the Montreal track is located on an artificial island in the St. Lawrence River, so it is hemmed in by water on all sides. Most of the time the island serves as a city park. The city only allows it to be used for racing twice a year. So it's hard to justify spending a lot of money on improving the race facilities and it's a hard place to expand the facilities that are already there. The future of the Canadian Grand Prix could be in doubt after reports that Bernie Ecclestone has demanded improvements to the circuit at Montreal before extending the race contract. Race promoter Francois Dumontier has played down the demands, saying that work on the facilities was to be expected and that the time left on the current contract allows the circuit to react. "Firstly, it is important to point out that two years remain on the current contract," Dumontier said. "Taking into consideration that the permanent facilities of the circuit, such as the control tower and the garages, are nearly 25 years old, it is quite likely that work to be carried out on these will be an important part of the negotiations aiming at extending the current contract..."
Iike that F1 runs at the Circuit Gilles Villeneuve. However, part of me certainly wouldn't mind if Montreal's two annual events became one for IndyCar, and one for the new, combined sportscar series and/or the WEC. That would take the pressure off, both in terms of the absurd F1 sanction fee, and the "need" to upgrade the facilities. Indeed. For now, I see a large, 3.0+ mile permanent circuit in Toronto or someplace... another Tilkedrome. Interlagos is in DESPERATE need of renovation... just look at the place! The whole area surrounding it is a big, rusty, oily, polluted dump. I don't mean to offend any Brazilians, but the whole city is pretty much in need of a renovation. I wouldn't know what to do... maybe renovate Interlagos and the surrounding neighborhoods and leave it at that? There is virtually no way to have a city the size of Sao Paulo and not have "favelas", or something equivalent. Most people in Europe and the US/Canada would have a hard time grasping the idea of 35-40 million people being in such close proximity to one another. The whole city ? It's a metropolis bigger than NY, the largest city in the southern hemisphere... Interlagos is a tiny part of the city. I would agree the circuit needs renovation but the rest of the city you must be joking. Space is not a problem in Brazil, pretty much the contrary, São Paulo is one of the largest horizontal urban areas of the world. 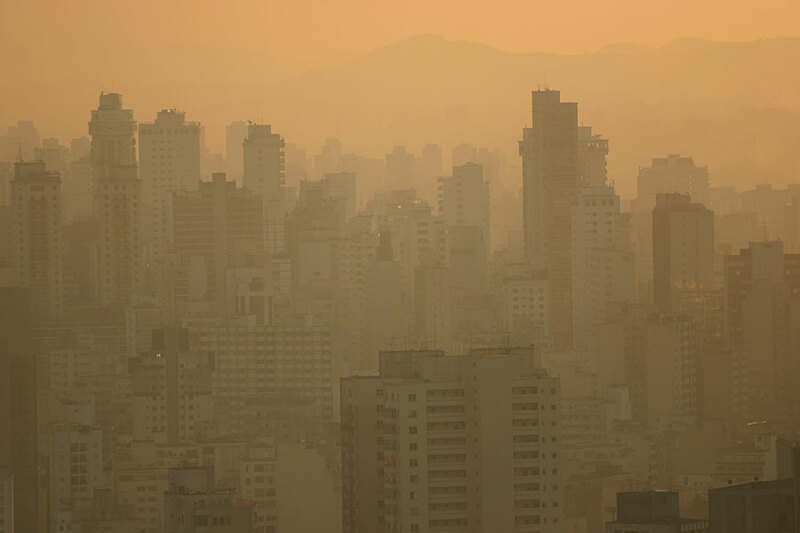 There are more registered helicopters in Sao Paulo than any other city in the world. To have "favelas" or shanty towns surrounding huge urban areas is a consequence of the fast growing development those countries are experiencing in the last decades. People from less developed regions flood the most developed regions of the country hoping to have access to the wealth of that place. This is common in every developing nation and is a major concern for the local governments. The idea of a highly contrast between poor and rich areas living together is indeed mostly shocking to europeans and north americans. Bononi, I was basically agreeing with what you just said in my previous post. The venues cant invest money if they dont make any. Fees are becoming unsustainable, something is going to have to give. There is one area of Sao Paulo which is masterfully engineered... you can see it in the photos Bononi posted. That area is downtown, the area with all of the skyscrapers. However, most of Sao Paulo is one massive concrete block of poorly engineered urban development, too fast to even keep up with itself. To add to that, Sao Paulo has one of the highest homicide rates in the world. Basically everything surrounding downtown, north, south, east, or west, are small, run-down, dingy, drab, poorly-maintained neighborhoods and favelas. The same goes for New Delhi... the track (Buddh) itself is beautiful, and so is the airport, but New Delhi itself is a crime-ridden, smelly, heaving, polluted hellhole... poorly engineered, poorly maintained, poor overall. I have studied urban planning and geography... there are pockets of high-tech, ultra-modern urban areas in every city (except maybe Dhaka, Bangladesh! ), including New Delhi and Sao Paulo, but it is no place for Formula 1. Those buildings you see are all in one, semi-large space... Downtown Sao Paulo. That's where those skyscrapers, the Cathedral, the bridge, and the final photos are. Otherwise, urban sprawl. Most of the downtown is in need of some rebuilding, too. It is basically consisted of boring, gray skyscrapers with dirty windows and foundations eroding from acid rain. Again, I hope I didn't offend anyone. Brasilia would be the perfect place to host F1, I think... near the government (where the money is), with a bunch of land, and a lot less crime. Rio is also an option... still lots of crime, but better looking buildings and a lot more tourists, plus the 2014 World Cup and the 2016 Olympic Games. 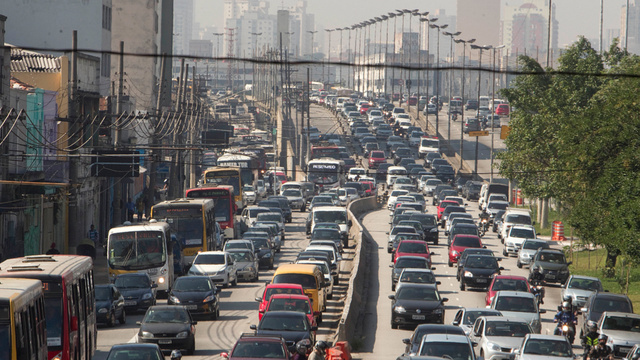 Here are some photos of the bad side of Sao Paulo. Bernie has turned F1 very much into an expression of image and power, and the world's great metropoli (New York, Tokyo, Shanghai, Sao Paulo, etc), in this day and age, are the most effective sort of places/tools for conveying that message. Remember, when F1 was in Indianapolis, a veritable mecca for motorsports, Bernie stayed in Chicago. That certainly ought to tell you something. Really? Wow, Bernie's really got his head up his ***. I still don't understand why they didn't build the USA's F1 racetrack in "the five corners": Boston, NYC, Philadelphia, Baltimore, and D.C. That would have attracted even more fans, and would have been a lot closer of a distance for a lot more people. Still, not complaining... I just wish I could have Bernie's job.